Now that GPS devices are cheap and plentiful we have the ability of measuring boat speed at specific distances. At the recently held 2007 US Nationals and Internationals a couple boats used a GPS device made by Velocitek to record their location and speeds. For more information on this device, visit their web site: http://www.velocitek.com/. If you are interested in purchasing a Velocitek GPS device, HAPCO is a distributor. Contact Peter Duncan at SailFaster [at] aol [dot] com for more information. 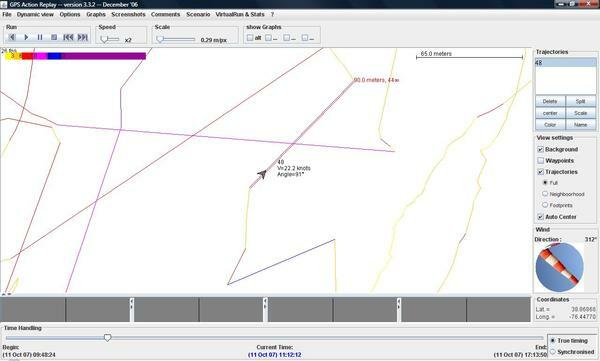 Chris Turner's 90 meter run at 22.2 kts as recorded by a Velociteck S10 and displayed using GPS Action Replay software. Click on the image below for larger version. 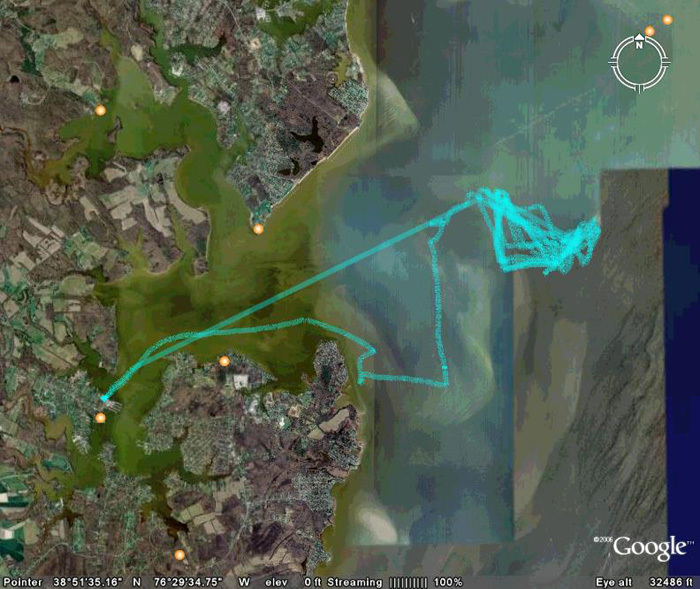 Chris Turner's sailing path overlayed on a Google Earth map, recorded Thusday.